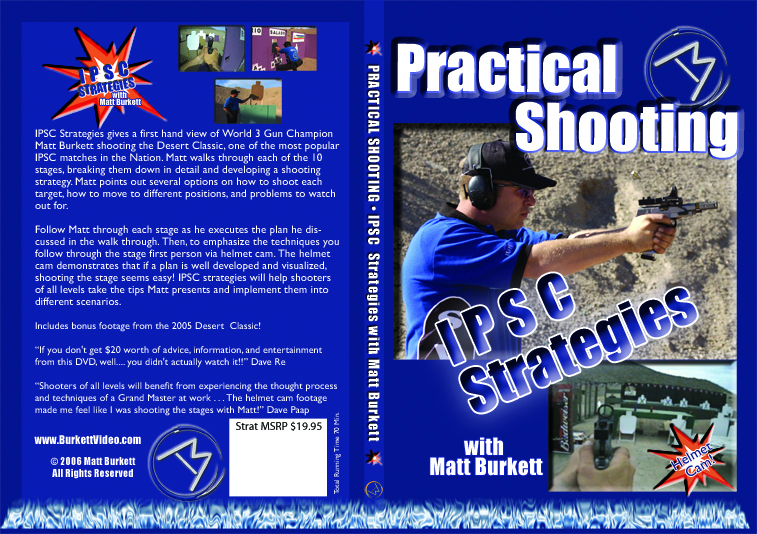 Matt Burkett's latest training DVD takes you through 10 stages at the USPSA Area 2 (Desert Classic) Championships. Critically breaking down each stage, he reveals all the crucial details. Hatcam footage is also included - for a first-person perspective for shooting each stage effectively! Bonus footage, including the 2005 Area 2 Championships and the chronograph procedure, is included as well. 70 minutes.